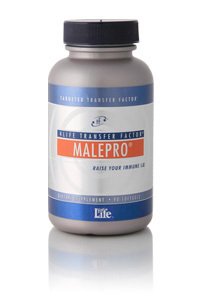 4Life Transfer Factor MalePro works by supporting general male wellness. It combines the benefits of Targeted Transfer Factor™ with saw palmetto, pygeum africanum, lycopene, soy isoflavones, and additional herbs and antioxidants. Transfer factors are tiny messenger molecules that transfer natural response information from one entity to another.